Venezia, 111 degrees fahreneit, so humid that your glasses fog at noon. Have fan, one's toes in the high water, be young and pretty, life can still be good. After all, one is in Venice. 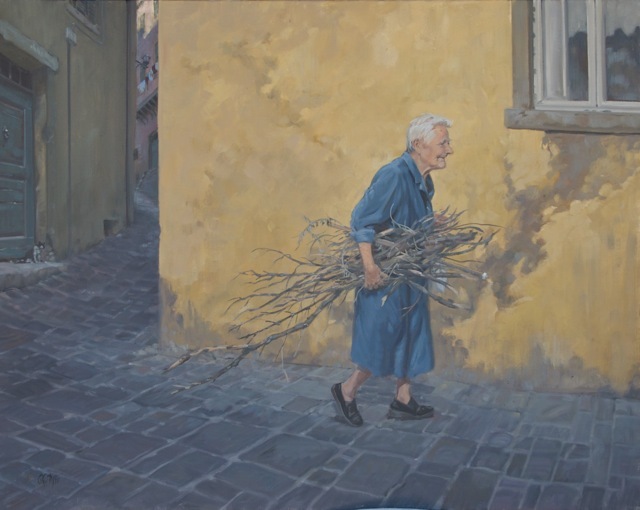 Here is a little old lady in Cortona, hauling wood for the winter, while still in summer heat. Planning ahead; Tina and I hope that she sees spring in 2011. From her demeanor, she may outlive us both. 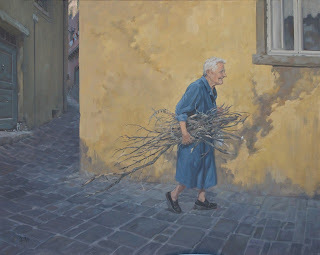 Italy is like that.